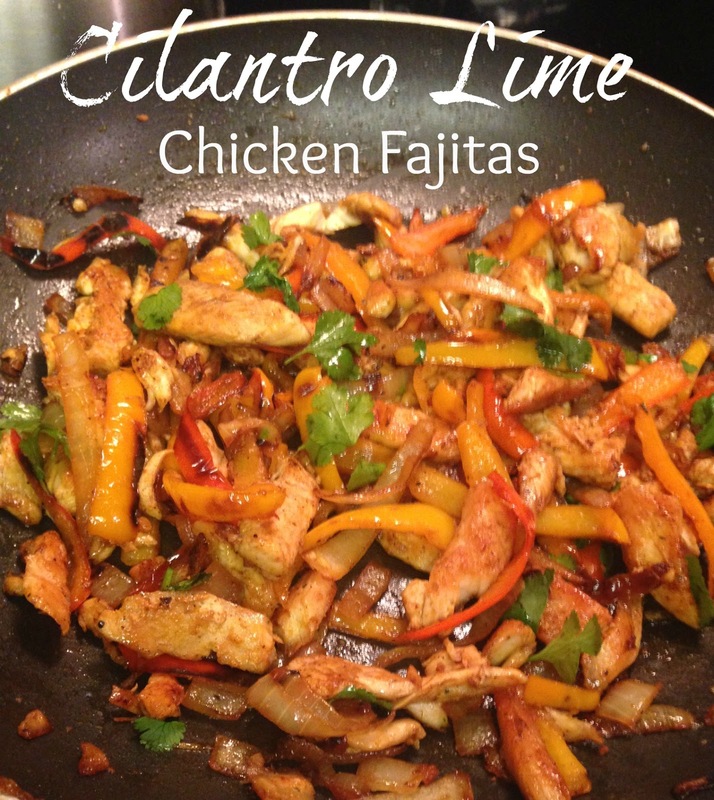 Tasty Tuesday: Cilantro Lime Fajitas | For the Joy of Life. We LOVE Mexican food over here. Being from San Diego where there's a taco shop on every street corner, that's kind of a given. I seem to make some sort of Mexican dish every week for dinner. I've been wanting to perfect my fajitas because every time I've made them they just didn't come out the way I had hoped. This time however, they came out SO right and I'm so excited to share! I give all credit to my old pregnancy cravings for coming up with this one. First chop your veggies, then chop your chicken. Fajita style. Aka long strips. Put two skillets on your stove and add 2 tbsp of oil to each. Turn it to medium heat and let that oil get hot! I test my oil by splashing a tiny bit of water. If it sizzles and crackles and pops, its ready. So, once it's ready add your chicken to one pan and your veggies to the other. Let them both cook through separately but don't let your veggies get soggy. Yuck. Once both are cooked to your liking at the veggies to the chicken pan. Add half the packet of fajita seasoning. You don't wanna overdo that stuff so start out that way and add more if you fancy more. Then add your soy sauce and give it a good mixing. Next turn your heat to low and add the juice of 1/2 a lime, garlic, and your cilantro. You really don't need to squirt every last bit of the juice because I sure didn't but get a good amount. Stir it all up and let every bit of the mix get covered. If you feel the need, you can also add some salt and pepper to taste. That looks good! I'm going to look for some fajita seasoning and make some!